Humulus lupulus is a perennial vine in the family Cannabaceae and is native to Europe, Asia, and North America. 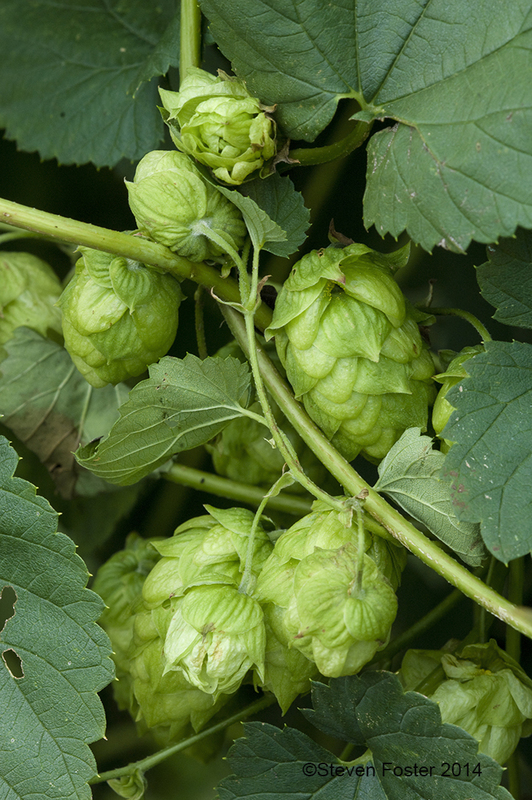 Hops are used in beer-making, to flavor food and as a perfume scent. The main medicinal uses of hops are as a sedative, and for restlessness, anxiety and excitability. 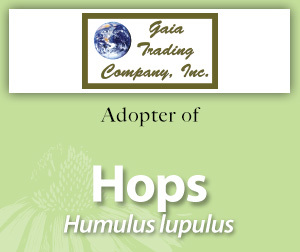 Please enjoy this information on hops made available through the generosity of Gaia Trading’s adoption. Hops monograph from Herbal Medicine: Expanded Commission E Monographs. Hops monograph from The Complete German Commission E Monographs—Therapeutic Guide to Herbal Medicines.